I first noticed these bashful flowers as a preschooler. 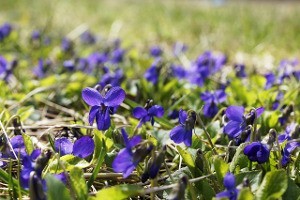 While dandelions flaunted fuzzy beauty like Hollywood starlets, violet faces peered at me shyly through leafy green hands. Mom said I could pick them! — unless they grew in other people’s yards. Unbeknownst to me, his mother would lie awake nights because she could not find a violet corsage. This entry was posted in Coffee Corner, Uncategorized and tagged Family, Flowers, Humor, nostalgia, Rachael O. Phillips, Spring on April 20, 2016 by rachael. Purple anything is my favorite! But I’m partial to lilacs and purple Irises. Thanks for the lovely escape! Karla, I am a fan of purple, too, as was my mom before me. Mmmm, lilacs! Do we dare hope for acres of them in heaven? Thanks for your comment, and may you have a purple-y day, Karla! 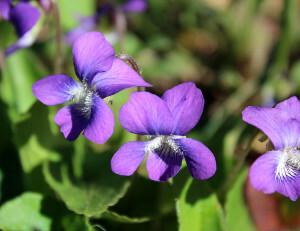 I also have a passion for violets, no doubt reinforced by my sister whom I adored and still do.